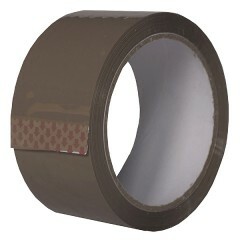 In this section you will find standard brown and clear polyprop tapes, available in 1" & 2" widths. For general packing, and a cost effective everday solution. All our standard polyprop tapes are 28mu in strength and manufactured in China. If you are looking for stronger/quality tapes for your business, have a look at the section on low noise tapes, section on vinyl tapes and printed tapes. These are all manufactured within Europe, and provide extra adhesion and strength, while being more expensive than standard polyprop tape.